On Sunday, Sen. John Kyl (R-Ariz.) became the highest-ranking Republican to suggest support for the repeal of the 1st Amendment to the U.S. Constitution. Appearing on CBS' Face the Nation, Kyl said that he opposes allowing Mosques to be granted freedom of religion and wants Congress to hold hearings on the matter. There are already a number of Republican officials who have preceded Kyl in calling for a reworking of the country's religious laws. Sen. Lindsey Graham (R-S.C.) has proposed the piece of legislation that would repeal the 1st Amendment. 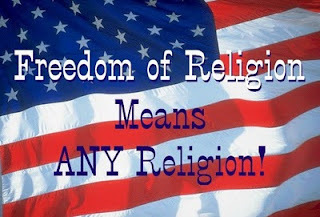 An extremely tan John Boehner said this morning he believes a repeal of the 1st Amendment, which guarantees freedom to practice religion for anyone in the U.S., is “worth considering,” if it helps to reduce Al-Qaeda operatives in the United States. "Well… I'm not the expert on this issue," the House minority leader said. "Listen, I think it's worth considering. It's a serious problem that affects our country, and in certain parts of our country clearly our Mosques are being overrun by Al Qaeda. A lot of them came here just so they can practice their own religion…They should do it the American way." Boehner joins fellow Republicans John McCain and Senate Minority Leader Mitch McConnell in expressing support for holding hearings into the matter. Of course, we just made these reports up but the funny/scary part is that we didn't really have to change too much. In fact, if you simply switch "14th" for every place you see "1st" and immigration for every part that talks about religion, then you would actually have what appeared in the newspapers a few weeks ago in real life with respect to the immigration debate and the repeal of the 14th Amendment. The bottom line is this: America's values, which are enshrined in our Constitution, are in place for a reason and we shouldn't be in such a hurry to change it every time we get frustrated by a debate. Besides the common-sense value of birthright citizenship, another cornerstone value in this country is the right to practice your own religion, whatever that religion happens to be. In fact, if memory serves correctly, many of the European Immigrants who came to this country in the 1600's and 1700's did so to seek religious freedom. 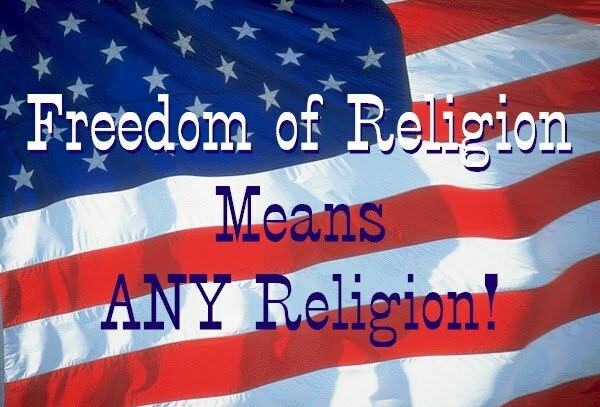 Fast forward to today; the descendants of those same people who benefited from the freedom to practice their own religion for the past 3 or 400 years without any interference from the Government are now having a national debate about whether or not a different group of Americans can seek religious freedom. Convenient amnesia, anyone? Update: Sam Seder has a fantastic video on the (Not) Mosque controversy. He's right, it's all bulls**t.